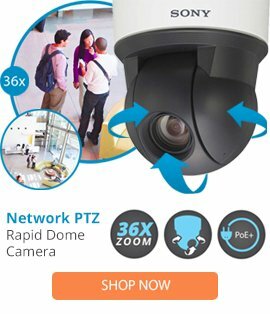 The IRHP75TN is a high performance vandal resistant 7IP network ready camera housing from Videolarm which is designed to be used for PTZ cameras. The IRHP75TN camera housing comes with a rugged aluminium construction, an extended trim ring for modular bracket accommodation, pendant mounting, a .22 caliber bullet resistance, as well as a clear polycarbonate dome, and a 0.125cast aluminium construction top. The IRHP75TN network ready camera also features a BNC connector, a 7.5max camera length, a compact size, plus a simple installation. This camera housing is able to provide high operation in locations such as stadiums, warehouses, parking decks, schools, correctional facilities, airports, and bus terminals, and comes highly compatible with many different camera types.